WATCH: Burnley’s Goal Directly From A Corner Should Have Been Disallowed And Here’s Why. WATCH: Jack Grealish Scores And Jumps Into The Away End. Absolute Madness! Another scenario that VAR would have gotten correct. 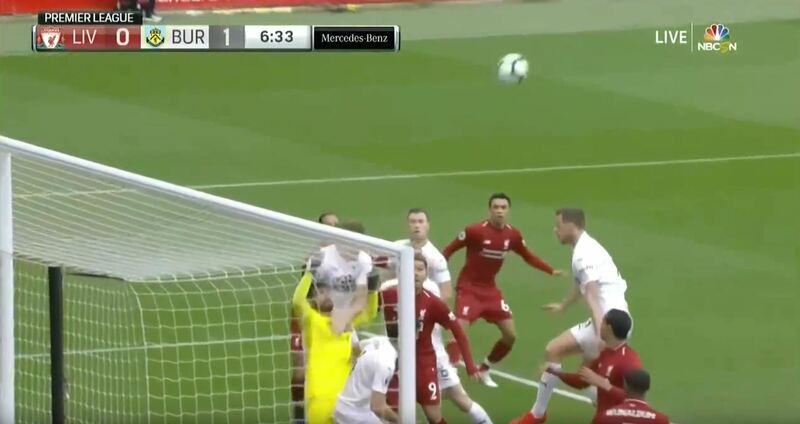 Alisson is clearly impeded and not allowed to jump for that ball, when he tries to point it out to the ref he then gets booked.